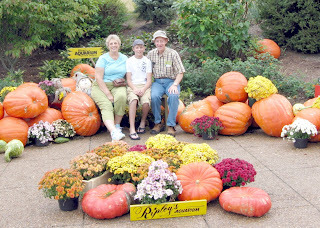 Several years ago, someone gave Gail and me an idea: taking grandchildren on a 12-year-old trip. We have taken each grandchild on a trip by himself or herself when they are twelve. We have been with Elizabeth and Whitney Barber and Brittan and Braden Parsons. We have Dalton and Wyatt Houston Barber to go. They get to choose the place (within 300 miles of Nashville). They choose where we will eat and what we will do on the trip. We give them some money: half to spend on themselves and half to spend on gifts for their family. This has been a delight. I am reminded that we will never know how much good we do and when. I don’t remember who shared with us this idea. Whoever it was has blessed our life greatly. Perhaps this will be a “mustard seed” that someone else may plant and reap a joyful harvest. I'm pretty sure that Braden want a 13,14,15, etc. year old trip!! Ya'll make the Smokeys much more fun!! I actually cried tears when I read this. What an awesome idea, and what an awesome set of grandparents! I hope I am able to do this for my grandkids someday. And, I hope your kids and grandkids realize how truly blessed they are!